Every day there are thousands of new websites launched online, from new kickstart businesses, to general every day blogs, everyone is at it, and rightly so! You no longer need to have a bricks and mortar business to be found. 9 out of 10 people now search Google for products or services they are looking for. But you have a website that was designed 5+ years ago I hear you say… Sorry, but technically your website is now outdated. Technology has come a long way in the last 5 years, and with the release of HTML5 and devices such as smart phones and tablets means that more people are browsing from these devices instead of a desktop PC. It doesn’t take much searching around online before you find an outdated website, there are a number of local businesses around here that have old websites, and are losing out on sales every day. Some even do not market or try to get their products on Google for people to find, or generate leads 24/7. If you feel your website is no longer generating leads, or don’t know if its generating leads, then continue reading and see if you relate to any of the issues below. There comes a point in time where your website becomes old and dated. Technology has advanced way ahead of your current website, with new design methods and eye catching techniques to keep your customers interested in your products or service. The best test is to visit your website yourself, as you yourself will be in your target market (if not you are in the wrong job). Take a good hard look at your website, are you bored and unimpressed with what you see? If you are, your audience will be too. Every website should be designed around your audience, giving your audience exactly what they are after, and making them feel good about your business. Feeling good about a business will turn that audience into a customer. Over the years you may have tweaked or changed your services to target a different target market. This may have been to keep up with your competitors, or new fashions or technologies that may have released. If your business has experienced this exact change, it is best to re-design or create a new website to target this new market you have found yourself in. Now this may not require you to have a new website, but this is a major flaw in some websites. Your target market has changed, but your website is up to date with the latest technologies, but as your target market has changed, the audience visiting your website does not understand the content they are reading, which means they will go to a competitors website. It is important to keep your content fresh and relevant to your target audience. We have even seen companies building a new website, and keep their old content which did not focus on their audience, which in tern made the new website look as if there was no change in conversion. As I have already stated, most people now browse the internet on a Smart Phone or Tablet device. If you fail to adapt your website to take into these users, you are yet again losing vital business opportunities. 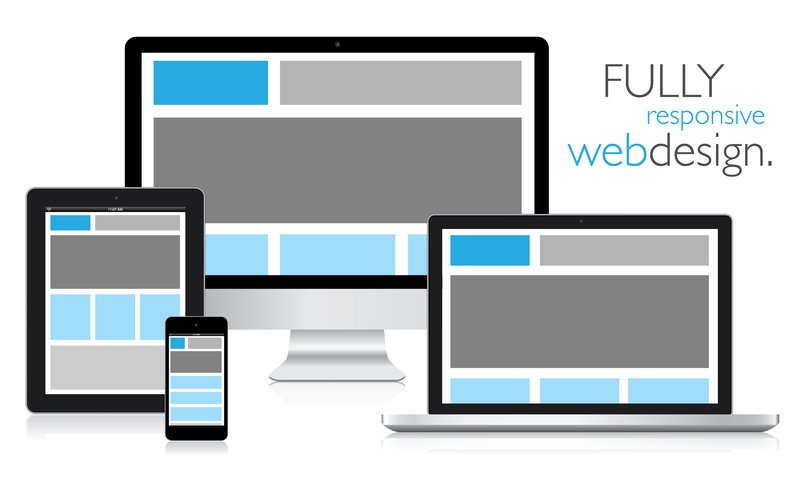 You do not need to have a dedicated mobile or tablet website for each device. HTML5 now means you can have one website that functions correctly no matter what device you browse the website on. This website, for example, is known as a Responsive design, which means menu’s and elements on the website collapse and are easily visible on a number of different devices. If you have read any of the above, and connected with any of the aforementioned issues, then chances are you require a new website for your business. Lets face it, you are losing out on your business share in terms of getting potential customers to your website from Search Engines, and keeping them on your website with fresh eye catching content. Lets face it, everyone searches the internet looking for what they are after, and if you are not near the top of the Search Engine Results Page (SERPS) for your targeted keywords, you’ll never get a sale for that person. Many business owners want a new website, well because they just want one. But many times, a business needs a new website because their current platform is not working for them, or turning their audience into clients/customers. Modern website development is no longer just about looks, but its about engaging your audience, and optimising the website for conversion.